Linux is the best-known and most-used open-source operating system. Whether you’re looking for an OS that is tailored for laptops, workstations, desktops, gaming, A/V editing, or servers, you’ll always find a Linux distro for your specific need. However, if you’re new to Linux or are switching to Linux from Windows, you’ll want an OS that is GUI-focused like Windows. 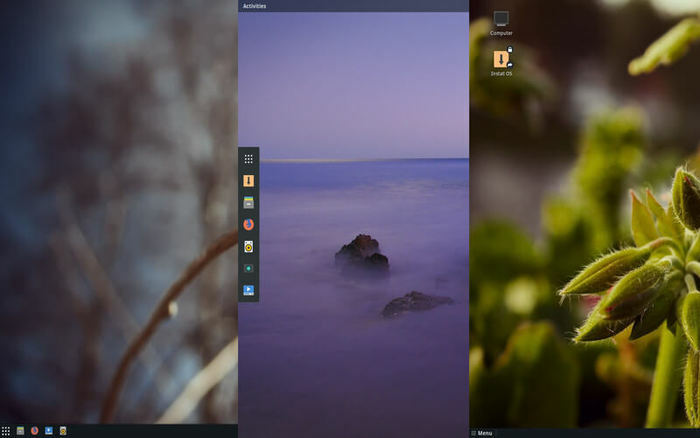 There are many different distributions of Linux out there, with some aiming to replicate the look and feel of Windows. The goal of this is to make transitioning relatively painless. With Linux boasting improved hardware support, long term stability and a wider range of software applications, there is no better time to try it! In this roundup we’ll introduce you to the best Linux distributions for those switching from a Windows environment. If you love Windows 7, Zorin OS will replicate that Windows experience for you. It not only features a desktop interface that looks and feels familiar, but also one that is beautiful and easy to use. But it doesn’t limit you to that interface. If you would love something different but with the same feel, Zorin OS does offer several options to choose from. You can choose a GNOME 3 layout, or go for a Windows XP-like interface if you want to keep it purely Windows. 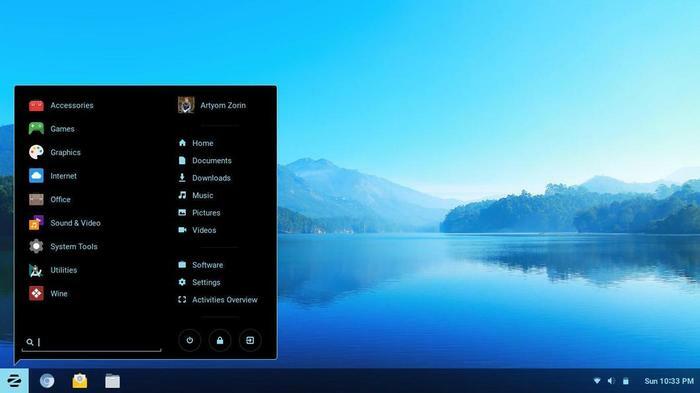 Zorin OS has been built from scratch to provide seamless migration experience for Windows users. In fact, it’s the only distro on our list that includes Wine – a compatibility layer that allows users to install Windows apps on Linux. 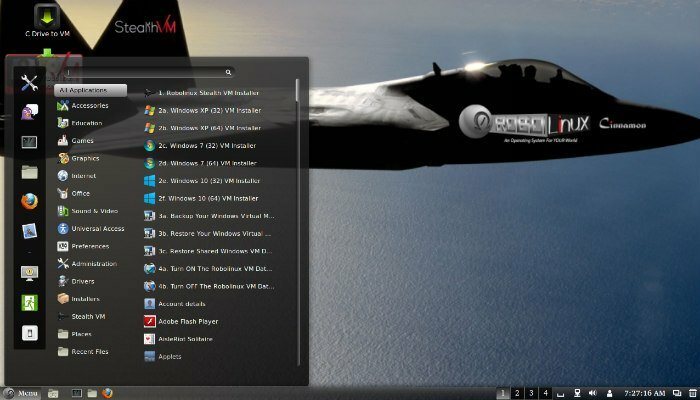 Robolinux is an interesting distro that is gunning for Windows users in a big way. Most folks are aware that Linux users can run Windows programs in a virtual machine like WINE. If you’re migrating to Linux from Windows and want to bring all of your programs, files and settings with you, there wasn’t an easy option … until now. Cue Robolinux. Robolinux includes Stealth VM, a virtual machine that they claim can run any Windows program without any lag. In addition, Robolinux has a tool that allows you to clone your entire Windows C drive. This means you can migrate all your pre-existing programs and data. While Robolinux is free, the developer is asking for donations for the cloning tool. 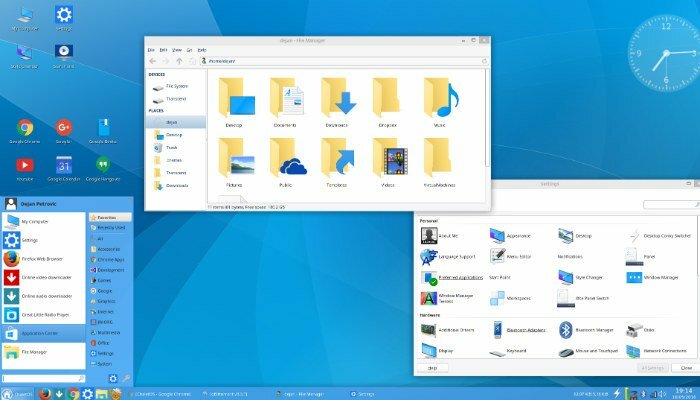 A number of Linux distros seek to emulate the look and feel of Windows with varying results, but ChaletOS hits the nail on the head. Featuring a very familiar look that will make Windows users feel right at home, ChaletOS boasts a Start button and desktop icons. The beautiful ChaletOS interface looks and behaves so much like Windows, that at first glance most will assume it actually is Windows. The only issue with ChaletOS is that it does not come bundled with an Office suite. Most Linux distros come with LibreOffice, which offers basic functionality like word processing, spreadsheet and slideshow capabilities. While one can install their Office suite of choice, the decision to omit one is curious. Linux Mint is one of the most liked distros in the Linux community for its ease of use and an intuitive interface. If you’re switching to Linux from Windows, Linux Mint is a great option. Linux Mint comes in three official flavors: Cinnamon, MATE, and XFCE. Each option has its share of strengths and weaknesses. If you’re a beginner, you should consider either Mate or Cinnamon, as XFCE has a learning curve that’s a bit complex for newbies. 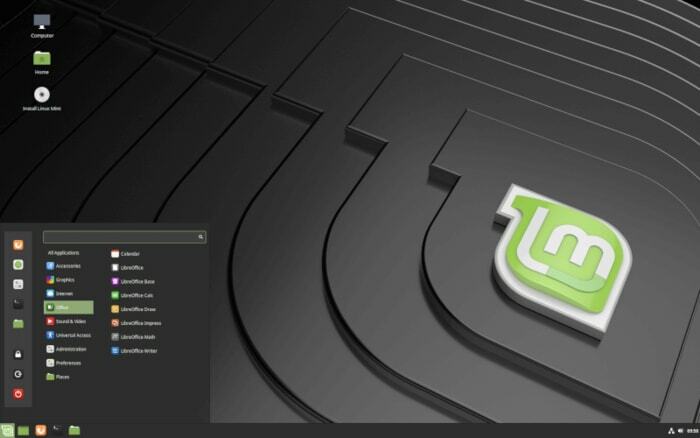 Linux Mint is also more friendly for those switching to Linux from Windows since it offers familiar elements on the desktop. Common shortcuts that you find on Windows, such as a Start button, clickable icons, system tray etc., are also available on Linux Mint. Plus, Linux Mint is very conservative regarding updates, so you’ll never have to worry about forced updates – the kind that plague Windows 10. Solus is another great Linux distro that is best for beginners and Windows users alike. It features a beautiful user interface that is intuitive to beginners and children. It also carries most of the Windows DNA, making it a perfect replacement for Windows. For example, it has a Software Center that allows you to manage all your installed apps and is more or less like the control panel in Windows. It also ships with a host of pre-installed apps including Mozilla Firefox; Files, that resembles Files Explorer in Windows 10 for managing documents; and GNOME MPV for controlling media playback. Solus is also highly customizable with every tweak designed to deliver a cohesive computing experience. While there are many powerful Linux distributions, not all are great for beginners, especially those switching from a Windows environment. For example, Elementary OS is a very powerful Linux distro, but its interface, feel, and features are borrowed from macOS. If you’re looking a Linux distro that offers a Windows-like environment, this list will be of much help. Was this helpful? Feel free to comment and share. This article was first published in September 2016 and was updated in April 2019.